Textured white and dark wood create a contrasting design for the Beniko collection from Alfalfa. Textured white and dark wood create a contrasting design for the Beniko collection from Alfalfa. 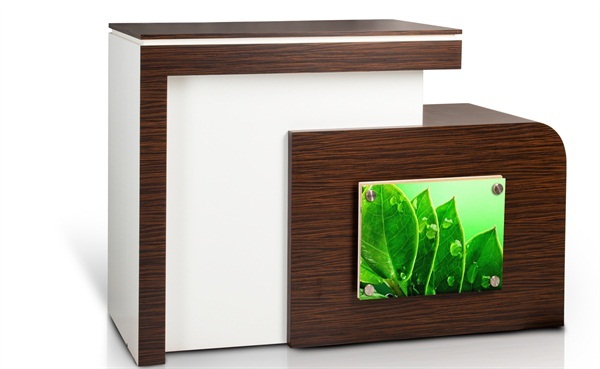 The reception counter is sleekly styled with high counter privacy and a lower counter that is ADA-accessible. It’s equipped with shelving for computer and storefront needs, extra side storage for appointment books, and the front display panel is ready for personalization. 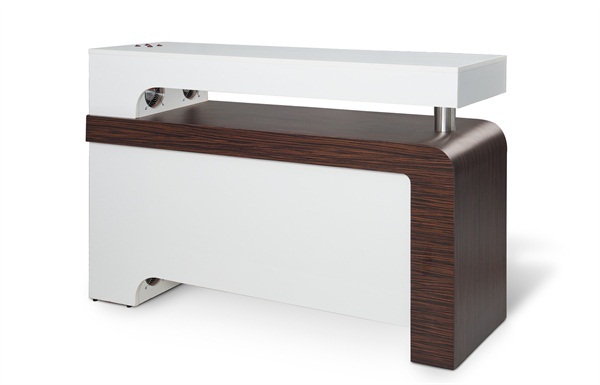 The Beniko nail table is equipped with two 36-watt UV lamps, an auto sensor fan, pull-out drawer with built-in organization, and armrest cushions. 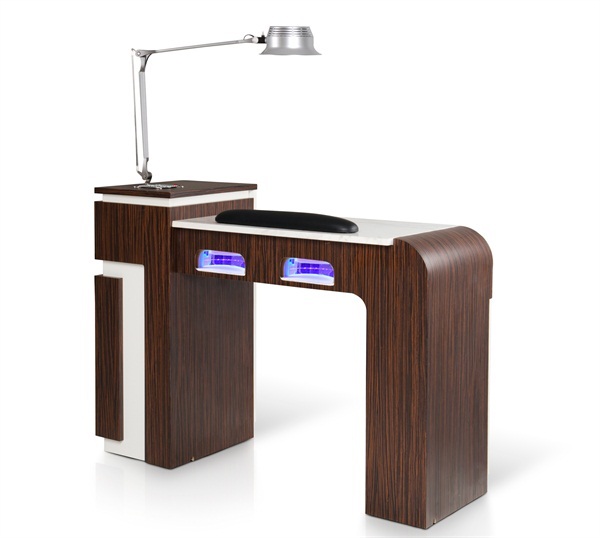 The Quick Dry table dries hands and feet simultaneously for up to four people, and contains cabinets on the side to store salon supplies.